Since the sun is out and we are enjoying some warmer weather this week I thought it appropriate that I review Sunshack Apple Cider for this week's edition of Cider Sunday. 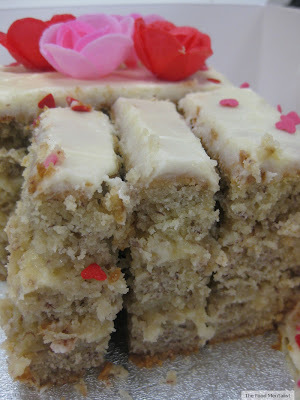 Firstly, it comes in a nice big 500ml bottle - which is perfect for sharing ( unless like me you'd prefer to keep it to yourself). 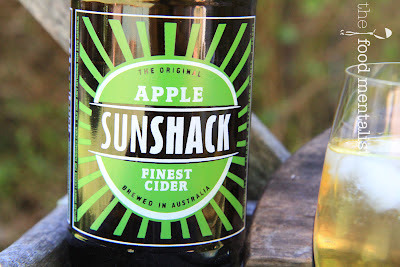 I previously reviewed Sunshack Pear Cider and as the name implies - both ciders radiate warmth and fun. I love the simplicity of the screen printed design on the bottle which is both unique and appealing. 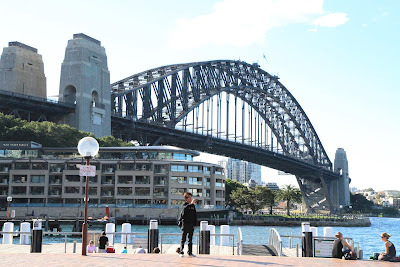 Brewed and cold fermented in Mittagong in the Southern Highlands of New South Wales, this one is a great example of what this region is renowned for - A culinary haven brimming with quality ingredients, foodies experiences and boutique products. With a nice golden clear hue, the cider is made with water from a sandstone spring on site. 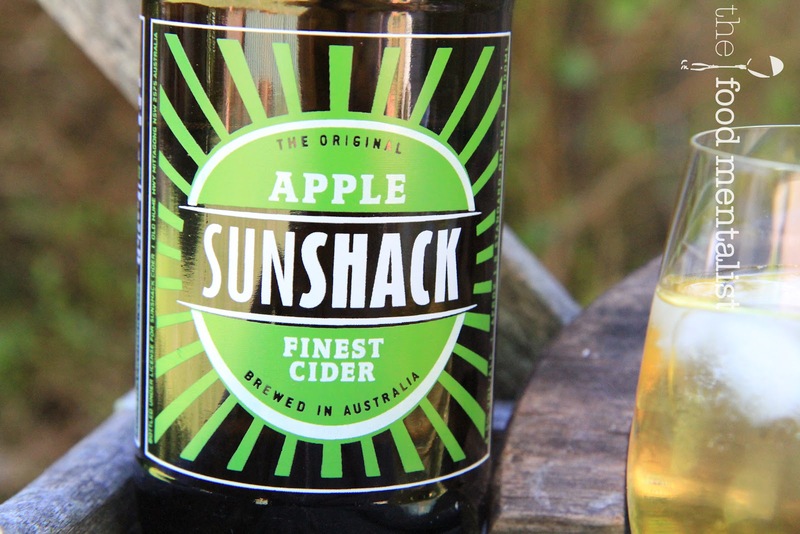 The flavours of this cider a quite floral and it has a fine carbonation and balanced sweetness. A well developed acidic structure finishes dry on the palate - not dissimilar to the granny smith apple variety. This one is best enjoyed with sunshine, a big glass of ice and fresh light flavours - crisp salads, seafood or with a selection of barbecued marinated meats and char-grilled vegetables. Mmmmm. At 4.5% alcohol, a 500ml bottle will provide you with 1.8 standard drinks. 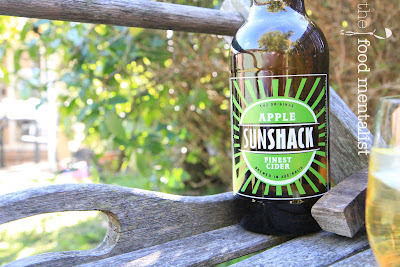 The Food Mentalist purchased Sunshack Apple Cider @ Camperdown Cellars. 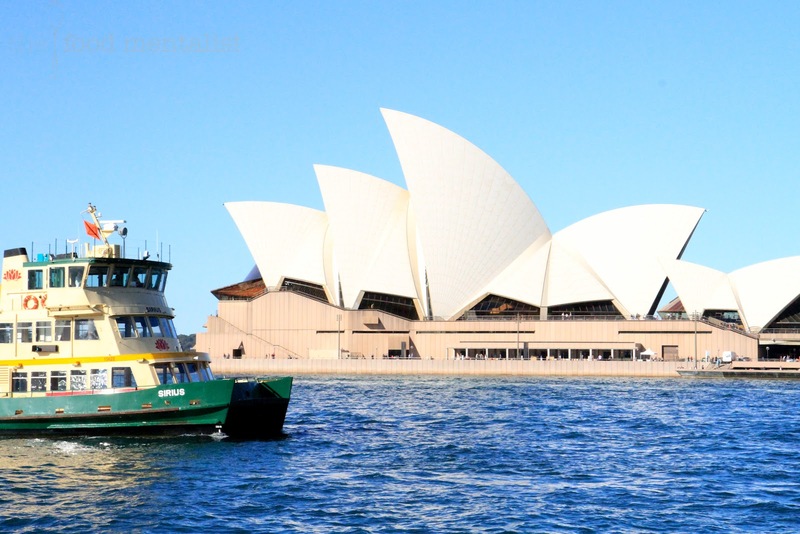 It's a gorgeous day here in Sydney. What are you up to? Ohh... that is SUCH a pretty label. I often find pear ciders too sweet, so this apple one sounds much more my speed!